[7 mins. 30 secs.] 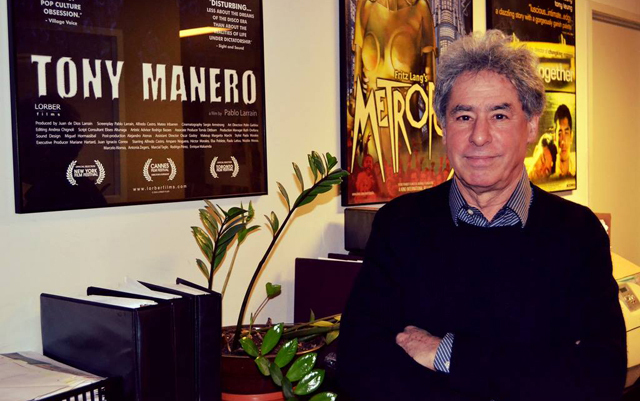 CEO of Kino Lorber, Richard Lorber, is the first guest. Richard discusses his background in distribution as well as new initiatives at the company. I've recently watched a bunch of their films including "Afternoon of a Faun: Tanaquil Le Clercq" (currently in its theatrical), "The Trials of Muhammad Ali", and "Who is Dayani Cristal". All were spectacular. [42 mins. 43 secs.] After that, I welcome filmmakers Joshua Weinstein ("Flying on One Engine") & Jean Tsien (editor, "Shut Up & Sing"). The two have a documentary, "Drivers Wanted", which is going to have its broadcast premiere on America Reframed, February 25th (check local listings). Taking the viewer into the taxi seat to experience accidents, blizzards, and the late night streets of New York City, "Drivers Wanted" reveals the impossibly eclectic community inhabiting a taxi garage in Queens, New York. Each day, a million New Yorkers depend on the anonymous faces behind the wheels, the men who tirelessly drive the city that doesn't sleep.